Our range of products include soft drink plant, soft drink making plant, soft drink production plant, carbonated soft drink production line, soda soft drink plant and carbonated soda soft drink production plant. Leveraging on our rich industry experience, we have emerged as the noteworthy manufacturer exporter, trader and supplier of Soft Drink Plant. 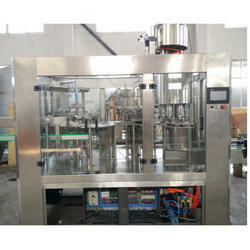 The offered soft drink line is customized in accordance to the industry needs. This soft drink line is developed in adherence to the quality standards by using quality material & advance techniques. Also, our quality controllers check this soft drink line at various quality parameters to assure a flawless dispatch. Leveraging on our rich industry experience, we have emerged as the noteworthy manufacturer exporter, trader and supplier of Soft Drink Making Plant The offered soft drink line is customized in accordance to the industry needs. This soft drink line is developed in adherence to the quality standards by using quality material & advance techniques. Also, our quality controllers check this soft drink line at various quality parameters to assure a flawless dispatch. 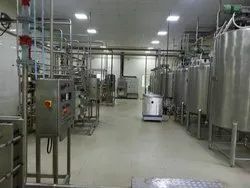 Leveraging on our rich industry experience, we have emerged as the noteworthy manufacturer exporter, trader and supplier ofSoft Drink Production Plant The offered soft drink line is customized in accordance to the industry needs. This soft drink line is developed in adherence to the quality standards by using quality material & advance techniques. Also, our quality controllers check this soft drink line at various quality parameters to assure a flawless dispatch. Leveraging on our rich industry experience, we have emerged as the noteworthy manufacturer exporter, trader and supplier of Carbonated Soft Drink Production Line The offered soft drink line is customized in accordance to the industry needs. This soft drink line is developed in adherence to the quality standards by using quality material & advance techniques. Also, our quality controllers check this soft drink line at various quality parameters to assure a flawless dispatch. Leveraging on our rich industry experience, we have emerged as the noteworthy manufacturer exporter, trader and supplier of Soda Soft Drink Plant. The offered soft drink line is customized in accordance to the industry needs. This soft drink line is developed in adherence to the quality standards by using quality material & advance techniques. Also, our quality controllers check this soft drink line at various quality parameters to assure a flawless dispatch. Leveraging on our rich industry experience, we have emerged as the noteworthy manufacturer exporter, trader and supplier of Carbonated Soda soft Drink Production PlantThe offered soft drink line is customized in accordance to the industry needs. This soft drink line is developed in adherence to the quality standards by using quality material & advance techniques. Also, our quality controllers check this soft drink line at various quality parameters to assure a flawless dispatch. 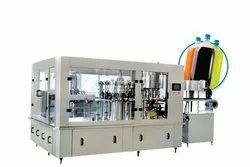 Leveraging on our rich industry experience, we have emerged as the noteworthy manufacturer exporter, trader and supplier ofAutomatic Carbonated Soft Drink Plant The offered soft drink line is customized in accordance to the industry needs. This soft drink line is developed in adherence to the quality standards by using quality material & advance techniques. Also, our quality controllers check this soft drink line at various quality parameters to assure a flawless dispatch. 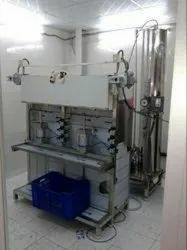 Leveraging on our rich industry experience, we have emerged as the noteworthy manufacturer exporter, trader and supplier of Soft Drink Production Line The offered soft drink line is customized in accordance to the industry needs. This soft drink line is developed in adherence to the quality standards by using quality material & advance techniques. Also, our quality controllers check this soft drink line at various quality parameters to assure a flawless dispatch. Leveraging on our rich industry experience, we have emerged as the noteworthy manufacturer exporter, trader and supplier of Carbonated Soda Soft Drink Production Line The offered soft drink line is customized in accordance to the industry needs. This soft drink line is developed in adherence to the quality standards by using quality material & advance techniques. Also, our quality controllers check this soft drink line at various quality parameters to assure a flawless dispatch. Leveraging on our rich industry experience, we have emerged as the noteworthy manufacturer exporter, trader and supplier of Carbonated Soft Drink plant. The offered soft drink line is customized in accordance to the industry needs. This soft drink line is developed in adherence to the quality standards by using quality material & advance techniques. Also, our quality controllers check this soft drink line at various quality parameters to assure a flawless dispatch.